We love to travel, we love food and we love our drinks too. We also don't really like to follow the usual crowds and rather like the idea of visiting somewhere different for an adventure. Our recent travels took us over to the lesser known country of Montenegro. With a relatively short 300km of Mediterranean coastline against a dramatic mountainous we can see the country really taking off as both an adventure travel destination as well as gaining more popularity outside the Balkans as a beach destination. We love a good beer by the sea in the sunshine. 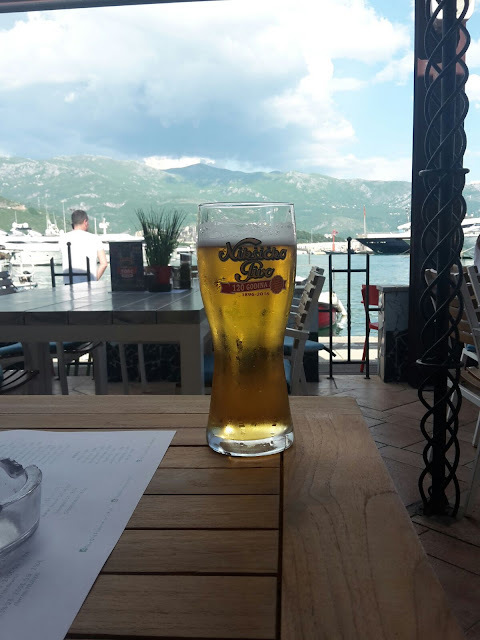 The main beer you will see in Montenegro is Nikšićko Pivo. The city of Nikšic is famed for it's brewing and the Trebjesa Brewery is the only one in Montenegro. Owned by Molson Coors it produces a selection of continental style lagers best known as a "Nik"
Now you know what to drink in Montenegro if you love a good beer. However if you love a good wine it's worth also checking out the excellent Montenegrin Krstac white wine and Vranac red wines. With a light slightly hoppy taste if you're like us you'll find you drink a lot of Nik on your travels to Montenegro.